Are you afraid of going to the dentist? 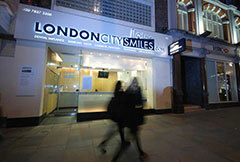 Do you find yourself dreading any trip to the dental clinic, even if it is just for a routine dental checkup? If you feel anxious every time you have to go to the dentist, you may have dental fear – which is a condition that affects countless individuals worldwide. You are not alone with dealing with this problem; there is a way for you to deal with dental anxiety so that you can have your dental treatments at the Dental Implant Group London without going through a panic attack every single time. 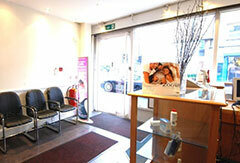 Dental fear can prevent you from getting the dental treatment that you need. Some patients will do whatever it takes just to avoid facing a dental appointment, the dental drill, or even the dentist himself. As a result, dental health is neglected. Poor dental health will only lead to more serious dental problems, which may be more uncomfortable and more complicated to treat. If you are thinking of getting dental implants to solve your missing teeth problems, but are hesitant because of your dental fear, you can turn to conscious sedation for help. Under conscious sedation, you will feel completely comfortable before and during the treatment; this means that you will not have to worry about anything as the treatment proceeds. You will be conscious throughout the treatment, and will be able to understand and communicate normally with the dentist. Afterwards, you will remember any uncomfortable or unpleasant parts of the procedure. Conscious sedation is completely safe, and is administered by a qualified anaesthesiologist. This technique enables you to have the needed dental treatment (such as dental implants) without facing extreme fear and discomfort throughout the procedure.